It is common to hear business associates loosely refer to one another as “partners”. We have all probably been introduced as someone else’s “business partner”. In a legal sense, references such as these can be misleading to third-parties, incorrect, and dangerous. Consequently, “partnership” references should only be used if they truly apply to your legal association with another person. In Oregon, “partnership” means “an association of two or more persons to carry on as co-owners of a business for profit”. Oregon partnership law is found under ORS 67.055 (Creation of partnership), predecessor law, or comparable law of another jurisdiction. A partnership includes a limited liability partnership. If a “partnership” is created, partners are generally jointly and severally and personally liable for the business of the partnership and share equally in its profits and losses. In layman’s terms, all partners are “on the hook” for everything equally and individually and benefit similarly. 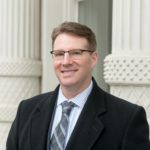 In the absence of an applicable exception, partners are jointly and severally liable for all obligations of the partnership as set forth here in Oregon law: https://www.oregonlaws.org/ors/67.105 These are very big risks for partners. Consequently, “partners” must choose one another carefully. Since a legal “partnership” is created fairly easily, business co-owners must begin a partnership carefully and before deciding to begin business operations or hold themselves out as doing so publicly. By law, partners also owe one another the fiduciary duties of loyalty and care in the operation and business of the partnership, which include: https://www.oregonlaws.org/ors/67.155 Consequently, partners have risk and responsibility once a partnership is created even if they have not sold goods or services to the public or entered into contracts with third parties. Once a legal partnership exists, rules governing how to dissolve it and/or otherwise govern how one partner may disassociate from the partnership to avoid future legal exposure, if the partnership continues after one partner leaves. All of these issues are complex. Although, it is highly recommended you review all of Oregon’s partnership law under ORS Chapter 67 to begin with here: https://www.oregonlaws.org/ors/chapter/67 , each partner must consult with her own legal counsel before considering doing business with another as a co-owner. Depending on your situation, you may have better legal options by creating another type of business entity like a Limited Liability Company (LLC) to avoid some of the common pitfalls and liabilities associated with a legal “partnership”. So, when someone next asks you: “Will You Be My Business Partner?”, please do not commit until you educate yourself about all of these related issues and consult with a skilled business attorney. Previous PostEmployees and Independent Contractors: A Case of Apples and Oranges?